Here in Australia, we are blessed with blissful weather though out the year. So relax, unwind and enjoy everything the great outdoor has to offer. With the right outdoor lounge you can transform your outdoor backyard into a perfect retreat that you can enjoy with family and friends. From barbeque in the backyard to fine dining on your deck, we have the latest outdoor lounge designs for you to entertain in style and luxury comfort. 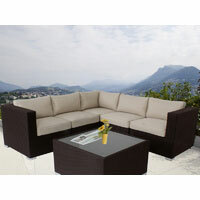 Creating your perfect outdoor living space never been easier, it doesn’t matter if you have a big open backyard or a small picturesque balcony, we have the right outdoor lounge to suit every space and budget.. 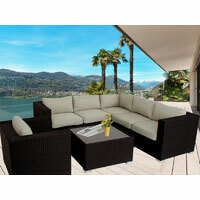 If you have a spacious area, make a statement with our outdoor modular lounge. You can configure the layout, add or remove any number of seats and choose the chair design to suit your requirement. 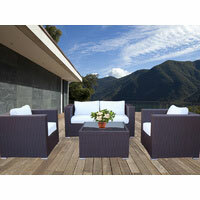 You can easily create 5 piece, 6 piece, 7 piece, 8 piece, 9 pieces outdoor setting or more. Just buy only what you need – no more no less. If you’re working with a small area, our mix & match design will maximise your option. Select any number of armchairs, corner seats, stools and pair it with a coffee table to transform the smallest nook into a perfect getaway. 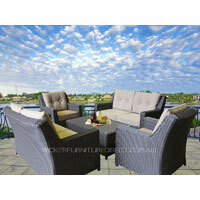 View our collection of outdoor wicker lounge setting from the comfort of your home and shop online with our fast and easy ordering system. 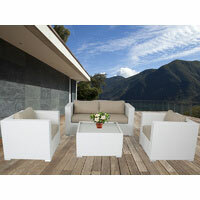 We offer very fast delivery as we stock all products in our warehouses in Sydney NSW. We offer fast delivery Australia wide. From Sydney New South Wales, Wollongong, Blue Mountains, Newcastle, Melbourne Victoria, Brisbane Queensland, Adelaide South Australia, Canberra ACT, Perth WA - Western Australia to even the outermost regional areas, We also provide Free Transit Insurance for your peace of mind. 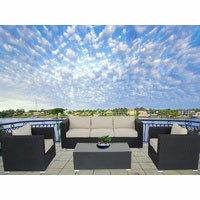 Are you looking for cheap outdoor lounge? 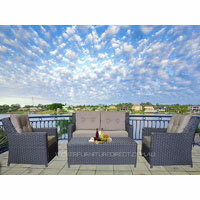 With many items on clearance, when you choose Wicker Furniture Direct, you choose unbeatable price and great value. 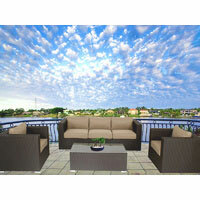 Regardless of your style or budget, we have you covered when it comes to decorating your outdoor area.